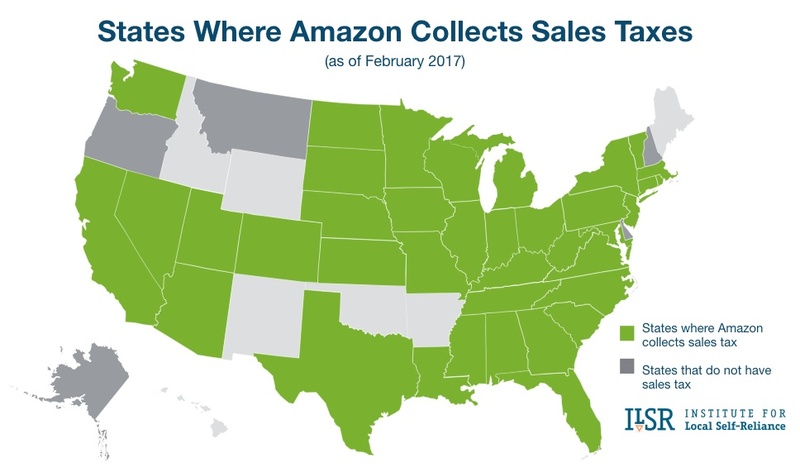 As of February 2017, Amazon collects sales tax in 38 states, but there are still seven states in which the sales tax loophole gives the company a competitive edge over other businesses. 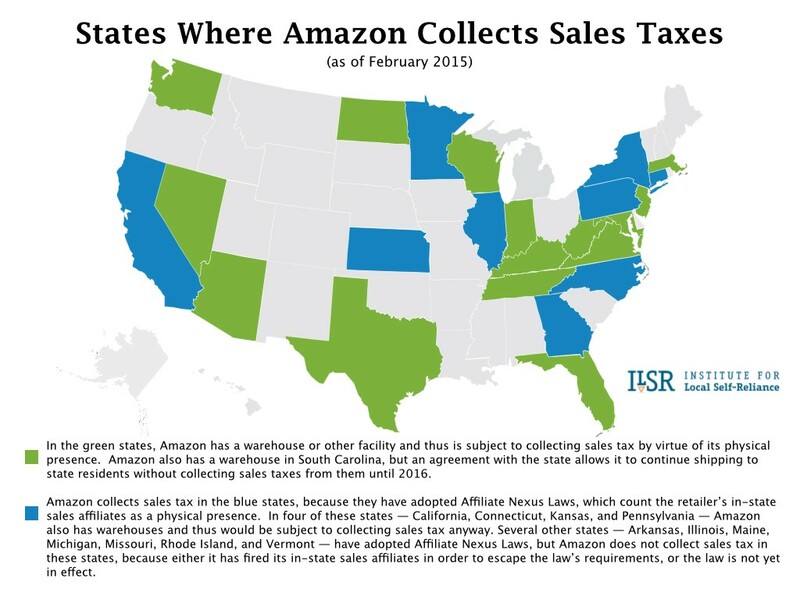 These include states like Maine and Arkansas, where Amazon has cut ties with affiliates in order to continue to dodge sales tax collection. 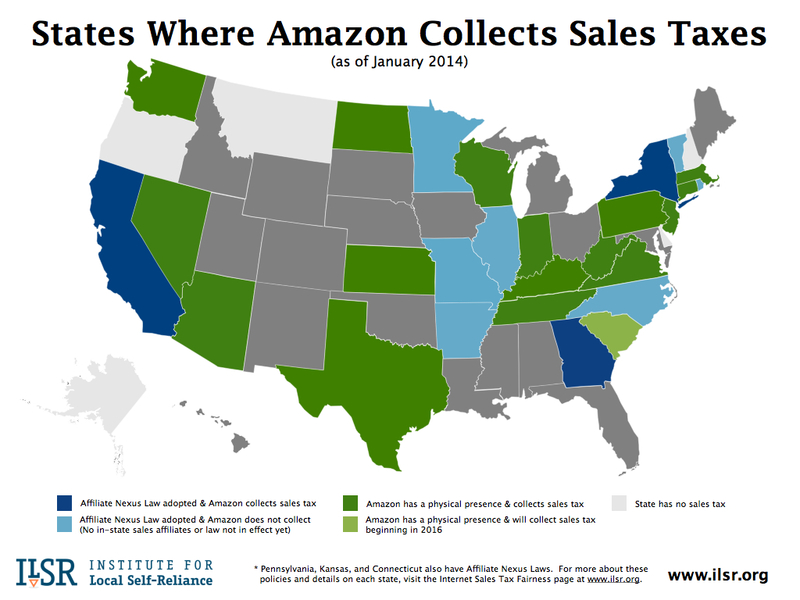 Five states do not have sales tax. 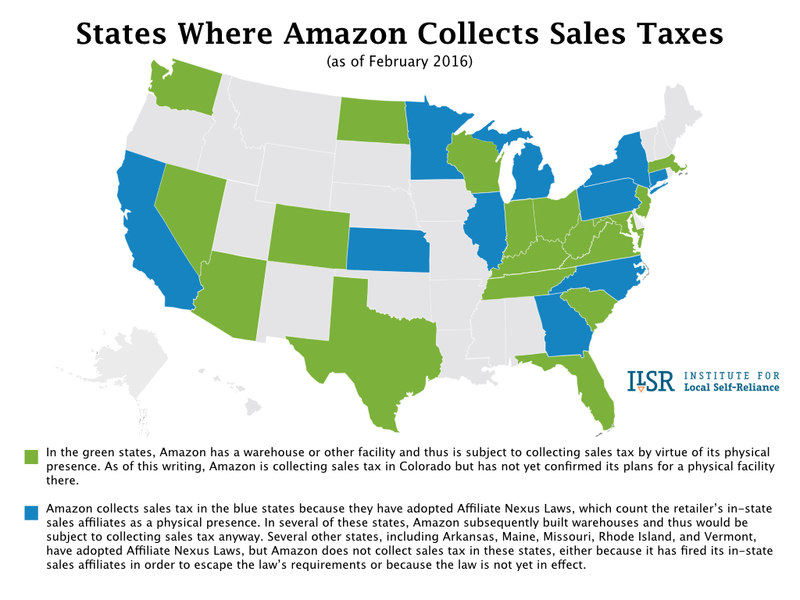 This marks a stark change from a year earlier, when Amazon collected sales tax in just 28 states, and an even more stark change from the company’s sales tax avoidance strategy over the 20-plus years since its founding in 1995. 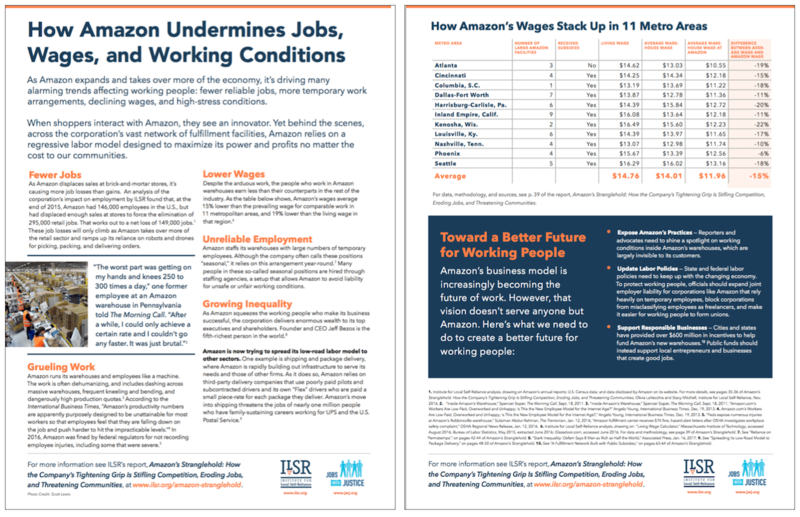 In some of these states, Amazon collects sales taxes because it has a physical presence; Amazon’s network of facilities has expanded rapidly in recent years. 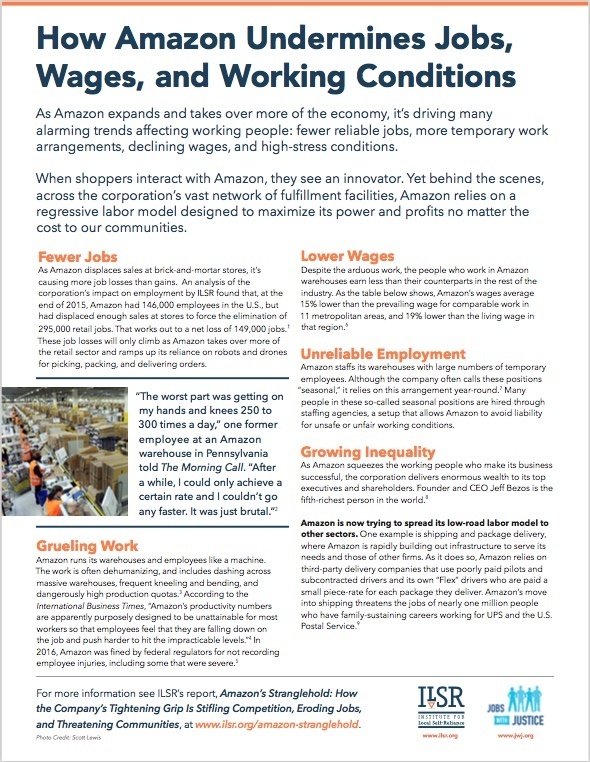 In other states, Amazon collects sales taxes because those states have enacted affiliate nexus laws that expand the definition of physical presence. Recently, several other states have invited the U.S. Supreme Court to revisit the issue by passing laws asserting state authority to require collection without a physical presence. For more background and information on internet sales tax, including legislative approaches taken by states and proposed federal efforts, see our Internet Sales Tax Fairness page. For change over time, see past sales tax maps below.